Phthalates are used as plasticizers in a wide range of common products. Over recent years, the material has acquired attention due to its potential negative health impacts. 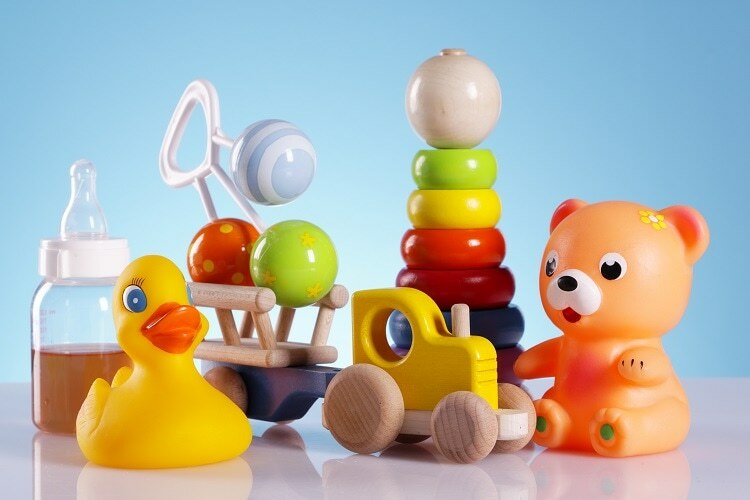 These impacts are so concerning that the use of some phthalates have been banned in children’s toys by the Consumer Product Safety Commission (CPSC). Extracting phthalates quickly and accurately from plastics such as polyvinyl chloride is advantageous and can help aid in ensuring the safety of the products made of these materials. With its patent pending Q-Cup Technology™, the EDGE™ can extract plastic samples in less than ten minutes. The proposed method has been found to be faster and more effective than other methods for this application. Since the 1950s, phthalates have already been used to soften plastics. They are found in everyday products, such as vinyl flooring, personal care products, children’s lunch boxes, backpacks, and toys. It is highly alarming that phthalates could be found in many products for young children, who are more prone to put things in their mouths. Phthalates are considered as dangerous chemical toxins that can damage the liver, kidneys, lungs, and reproductive systems. They have been linked to the alteration of DNA integrity. As they are not bound chemically to plastic, phthalates are continuously being released into the environment where people become exposed through repeated contact. The extraction of phthalates from plastics needs to be a quick and simple process so that manufacturers can confidentially release products that meet the safety guidelines of the CPSC. Phthalates extraction from plastics is challenging for a number of reasons. First, the complexity of the samples and the low melting point of the plastic make it difficult to extract just the particle of interest. Secondly, traditional methods for extraction are time-consuming and often yield extracts that are cloudy or contain multiple co-extracts, making the already difficult analysis more challenging. Another difficulty is the potential for unacceptable levels of carryover from sample to sample. The EDGE is capable of producing a clean, filtered, and cooled extract that is ready for analysis in less than ten minutes. Each ten-minute extraction cycle also includes an efficient dual solvent wash which cleans the system and eliminates any risk of carryover. The EDGE uses the Q-Cup Technology that combines pressurized fluid extraction and dispersive solid phase extraction in a single instrument that produces rapid and efficient extraction. The easy-to-assemble Q-Cup™ sample holder boasts of a unique open cell concept that creates a dispersive effect and facilitates rapid extraction and filtration. The result is fast, simple, and efficient extractions. It is easy to setup a sample preparation using the EDGE. A Q-Disc™ must be placed in the Q-Cup base, and the two parts must be screwed together. A sorbent or drying agent may be added along with wet or dry food samples not exceeding five grams. The EDGE will utilize only 40 mL of solvent per extraction, which includes solvent for diffusive extraction and sample rinse. During system cleaning, the device may use up to an additional 30 mL of solvent. The rapid heating of the extraction chamber combined with diffusive action enables a temperature of up to 180°C to be achieved in less than two minutes. The Q-Cup is automatically loaded into the chamber by the auto sampler. The pressure cap then creates a pressurized seal on the top of the Q-Cup. Solvent is first added through the bottom to fill the gap between the chamber and Q-Cup, aiding in heat transfer. The solvent is then added through the top of the Q-Cup to wet the sample. As the chamber walls are heated, the pressure in the gap increases. This process overcomes the pressure inside the Q-Cup, forcing the solvent to disperse into the sample. Once the sample reaches the target temperature, the solvent is dispensed through the Q-Disc, the cooling coil, and into a collection vial. Polyethylene or polyvinyl chloride (0.5 grams) was weighed into an assembled Q-Cup containing a Q-Disc. The Q-Cups were placed in the EDGE removable rack each with a collection vial, and the rack was slid into place on the EDGE. The One Touch Method™ for polyethylene and One Touch Method for polyvinyl chloride were used, respectively. The extracts were injected into the Agilent 7890A with a 5975C MSD for analysis adhering to EPA 8270. A Phenomenex ZB-5MSplus 30 m, 0.25 mm column was used. Polyethylene CRM-PE001 and polyvinyl chloride CRM-PVC001 were acquired from SPEX CertiPrep. The CRMs were extracted using both the EDGE and Soxhlet. A 70/30 mixture of acetone/cyclohexane was used as the extraction and rinse solvent for polyethylene; meanwhile, a 50/50 mixture of isopropanol/cyclohexane was used as the extraction and rinse solvent for polyvinyl chloride. The system was washed with acetone and isopropanol. Using Q-Cup Technology for the extraction of phthalates from plastics such as, polyethylene and polyvinyl chloride, the EDGE produced comparable results with the standard Soxhlet method. The EDGE method also utilized less solvent than the alternative method. Table 1 presents the percentage of recovery of the extraction of phthalates from polyethylene versus the Soxhlet method. Meanwhile, Table 2 shows the percentage recovery of the extraction of phthalates from polyvinyl chloride in comparison with the Soxhlet method. EDGE is a good option to economically and accurately extract phthalates from plastics. All methods for sample preparation, extraction, and analysis were based on CPSC-CH-C1001-09.1. This information has been sourced, reviewed and adapted from materials provided by CEM Corporation - Analytical. For more information on this source, please visit CEM Corporation - Analytical.